Cala Corvino is just 200 metres from the coast and its beautiful beaches. 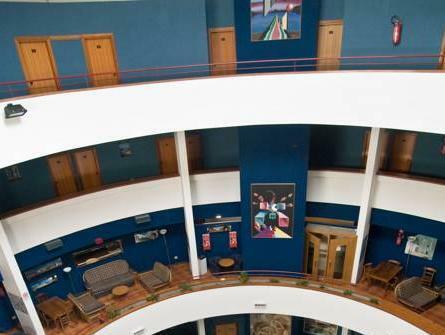 It features a swimming pool, tennis court, and air-conditioned rooms. It offers a gourmet restaurant and is set in its garden. At the Corvino Cala you can relax and have a dip in the swimming pool, which is located in the garden. If you are feeling more active you can have a game of tennis or football, there are pitches on site. The rooms are simply decorated and provided with an en suite bathroom. Some also have a private balcony. The restaurant serves typical local and Mediterranean cuisine. A buffet-style breakfast is available daily. Monopoli Train Station is 4 km from the property. Bari is a 40-minute drive away. The resort fee is a compulsory Club Card which includes access to leisure facilities. This fee is not payable for children under 3 years, and discounts apply for guests aged between 4 and 15. Please inform Corvino Resort in advance of your expected arrival time. You can use the Special Requests box when booking, or contact the property directly with the contact details provided in your confirmation. Guests are required to show a photo identification and credit card upon check-in. Please note that all Special Requests are subject to availability and additional charges may apply.